The Egyptian Exchange (EGX) dropped once again last week amid revived political tensions within the country. The EGX’s weekly stock market summary showed that the total value of shares for companies listed dropped EGP 5.491bn last week, from EGP 380.950bn to EGP 386.441bn. A number of the country’s stockbrokers attributed the drop to Orascom’s recent refusal to go public. This was expected to have a negative impact on investment, on top of an already negative environment witnessed over the last year. Many businessmen pointed out the need for financial incentives and political stability in order for the country to begin down the road to economic recovery. The benchmark index EGX 30’s primary indicators dropped last week by 1.56% reaching 5,627 points, with the EGX 70’s primary indicator dropping 2.64% to reach 476 points. 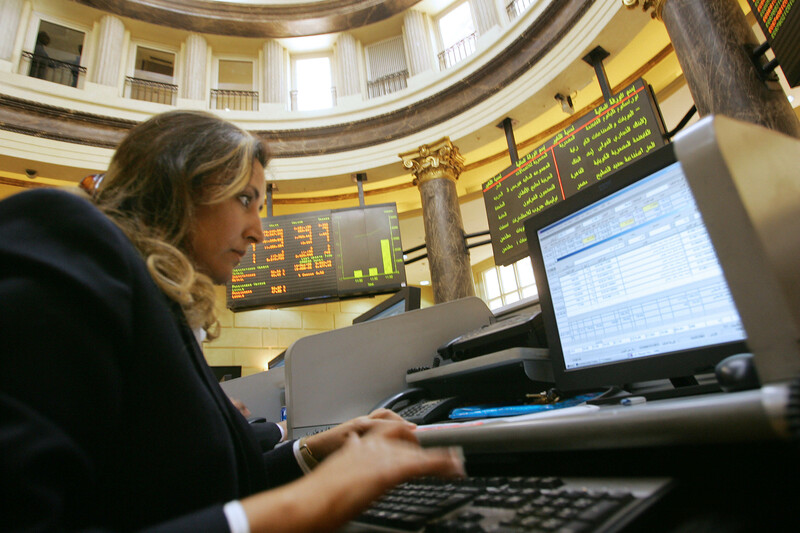 Egypt’s EGX 100 index dropped by 1.99% reaching 807 points, with the EGX 20 rising 2.07% and reaching 6,528 points. A total of 469m shares have so far been traded on the EGX 100 in 105,000 separate deals at an estimated value of EGP 3.8bn. This in comparison to last week, which saw 623m shares traded on the EGX 100 in 102,000 separate deals and at an estimated value of EGP 3.6bn. The Nile Stock Exchange (Nilex), the country’s small and mid cap stock market, saw a total of 5.6m shares traded in 887 separate deals at an estimated value of EGP 8.2m over the past week, with the shares market representing 47.76% of all deals made on the trading floor, and with bonds making up the remaining 53.24%. Trades made by Egyptians represented 85.93% of all stock exchange trades last week, with foreigners making up 11.35% and non-Egyptian Arabs 2.72%. Net purchases for foreigners totalled EGP 3.68m, with those from other Arab countries totalling EGP 25.85m. Since the beginning of 2013, net purchases made by non-Arab foreigners have totalled EGP 566.90m, while net sales for non-Egyptian Arabs totalled EGP 636.16m during the same period. The report stated that financial institutions made up 68.52% of all trades made last week, with individuals representing the remaining 31.48%. Financial institutions recorded net purchases of EGP 20.15m. A total of 1,904 bonds were also traded last week at an estimated value of EGP 1.966m.